Is the Great-Great-Uncle of Michael Virts. The Confederates captured Richard Virts in 1864 and imprisoned him at Andersonville Prison in Georgia. Richard died there and is buried at the Andersonville National Cemetery with 13,000 of his fellow United States Soldiers. Richard Adam Virts was 5 feet seven inches in height, with a fair complexion, blue eyes, and light-colored hair. He enrolled at Berryville, Virginia, by Captain J.C. Means, for a three year enlistment in Company A of the Independent Rangers of Loudoun County, Virginia. He was taken prisoner on October 18, 1863, at Charles Town, Virginia (now West Virginia). On November 2, 1863, he was confined at Richmond, Virginia, until March 8, 1864, when he was sent to the prison at Andersonville, Georgia. On April 27, 1864, he was admitted to the prison hospital and died there on May 23, 1864. His grave number at Andersonville National Cemetery is 1322. 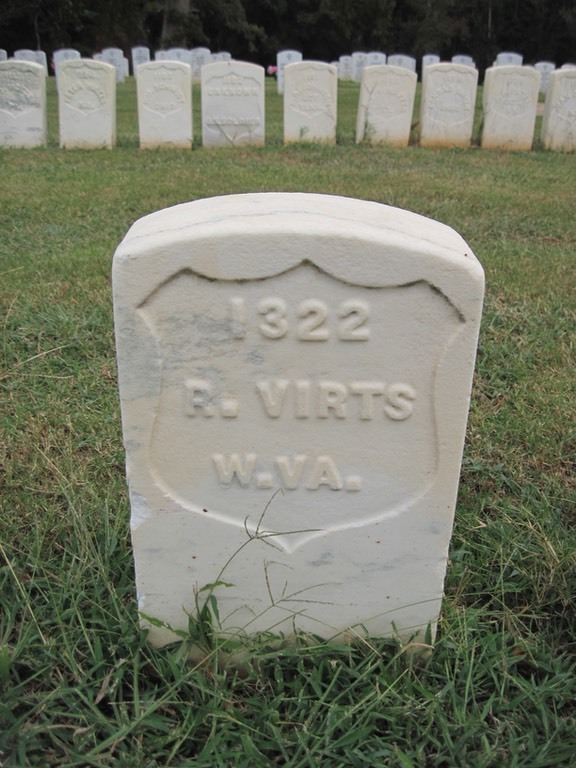 His mother, Susanna Lilly Virts, received his monthly U.S. Army pension until her death. 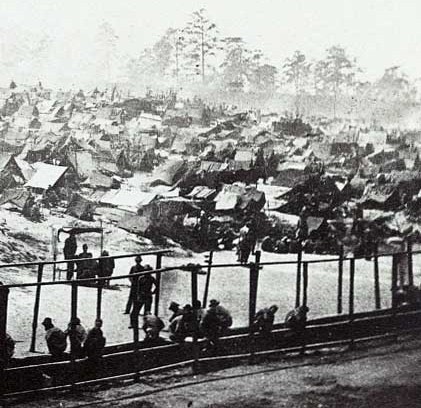 Andersonville Prison, August 1864, South view of the stockade.